Which is your favorito name? The fans pick: What If Eric Turned Into A Merman? Who is your most favorito disney Leading Male Charcter and why? Eric + aladdin = Naveen?? I read AudreyFreak's artigo describing the personality of the disney Princesses according to the Myers-Briggs test. To read this fantastic article, click link. Okay okay, who hasn't rated their favorito and least favorito princes?!! Here's my personal list. 7. Prince from Snow White...with no name. Obviously I feel the same way the rest of you do, he doesn't have anything to him. Although, I do wonder, where did you guys get the whole lipstick thing? He's just pale. Silly hat. 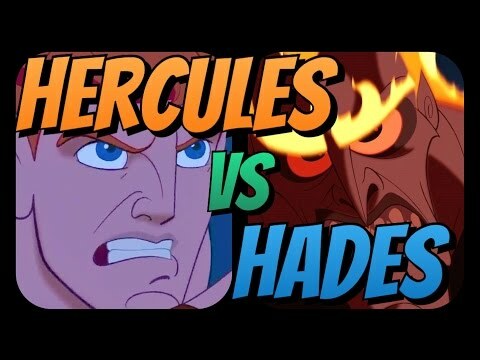 a video foi adicionado: Hercules versus Hades!!! a comment was made to the poll: Is aladdin hot? topo, início 10 Hottest Animated disney Men?